The fall season at the Del Mar Race Track runs from November 9 through December 2, 2018. Get to the fun with a coastal trip on the Pacific Surfliner. The seaside Del Mar Race Track opened in 1937 with Bing Crosby (one of the founding members) personally greeting guests as they arrived. It’s also the site of a famously close Seabiscuit race. During the season, there are generally races from Thursday to Sunday, with special activities scheduled for the weekends. Getting to the track is easy on the Pacific Surfliner. Hop onboard for a beautiful trip along the coast to Solana Beach. Riders ages 21 and over can enjoy a craft beer, Mimosa, Bloody Mary or specialty cocktail from the Café Car. After arriving at the station, catch the shuttle – it’s free for train riders and is offered on days when there are races or concerts. Saturday and Sunday are popular days to head to the racetrack on the Pacific Surfliner, and, at times, trains can be busy. Consider upgrading to Business Class to have a guaranteed seat and other perks, such as a fully refundable ticket if canceled prior to departure, bonus points for Amtrak Guest Rewards members; complimentary beverages and light snacks; and more. If the train you were planning to take is expected to be crowded, consider taking an earlier or later train without having to make any changes to your Unreserved Coach ticket. There is service almost hourly between Los Angeles and San Diego, providing many options. 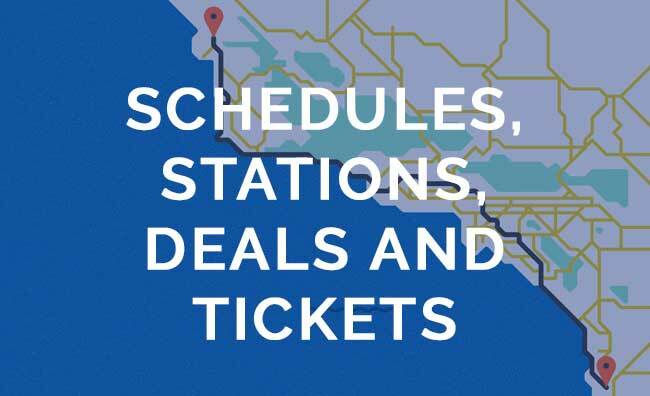 Follow @PacSurfliners on Twitter for status updates. We would like to use the Surfliner for the upcoming Breeders Cup Sat 4th November. Will there be any extra services? Are the current schedules showing relevant? What is the best advice please? Hi Glenn, the train is a great way to get to the race track! It is expected to be a busy weekend on our trains since many people will be riding with us to the event. We will be adding extra capacity, but it is still a good idea for you to book your ticket early, and consider upgrading to Business Class. The most updated schedules can be found on our website – there will be a schedule change on October 9, and you can download the timetables under the “News and Updates” section. Please let us know if you have any questions!